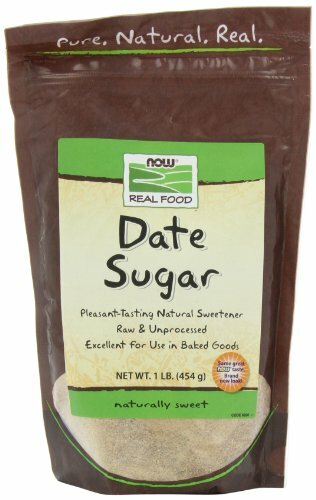 Pleasant tasting Date Sugar is derived from dates and can be used as a natural sweetener in place of refined sugar. Add to baked goods, breakfast cereals, toast, or beverages. NOW Foods also supplies other unique sweeteners that can be substituted for processed table sugar. Barley Malt, Date Sugar, Dextrose, Fructose, Lactose, Maple Syrup, Turbinado Sugar and Xylitol are complimentary sugar alternatives. Sweet Leaf Chocolate Flavor Stevia Liquid, 2 Ounce - 3 per case.